How to use the Tool! Why is the PMA important? The PMA is NOT neutral! What happens DURING an assembly? Give an inclusive welcome, establish guidelines, provide an overview of the order of events, and explain the assembly process. Cultural activities can be used to convene the assembly (ritual practices, spoken word, song, dance, drama, etc.). 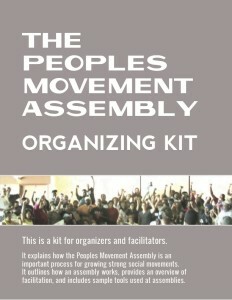 Set the historical, political, cultural and movement context. Outline the question(s) addressed and the root causes of the problems. 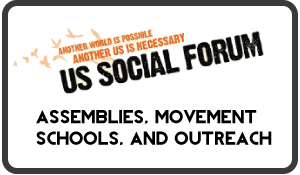 Draw from other local or global examples of convergence and assemblies that have been integral to successful social movements. Guide the groups to name the primary issues, determine the strategic short-term actions and solutions, and craft future visions. Keep emphasis on collective action to achieve visions. Make commitments to next steps to bring about change. Focus on developing actions to solve problems.